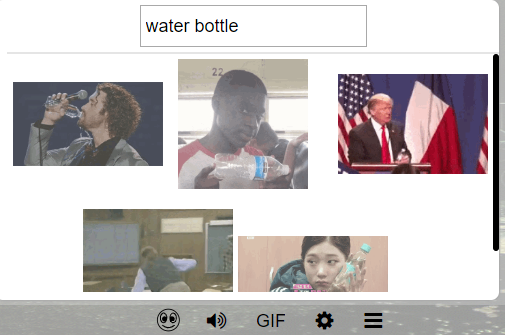 We are pleased to announce that the GIF Search functionality has been given a major overhaul. 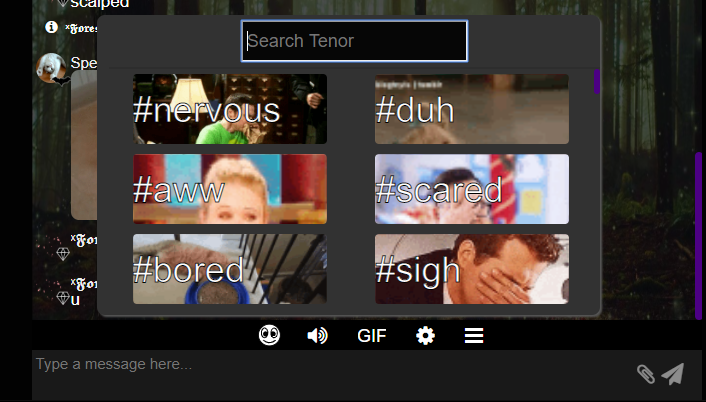 Finally, GIFs are now slightly bigger. Owners can always turn off GIFs using the Chat Edit menu, under the “Links, Media, GIFs” category. Minnit offers a great embeddable HTML5 chat that’s free to start. See https://minnit.chat for details, and embed onto your website by just copying a simple line of code. 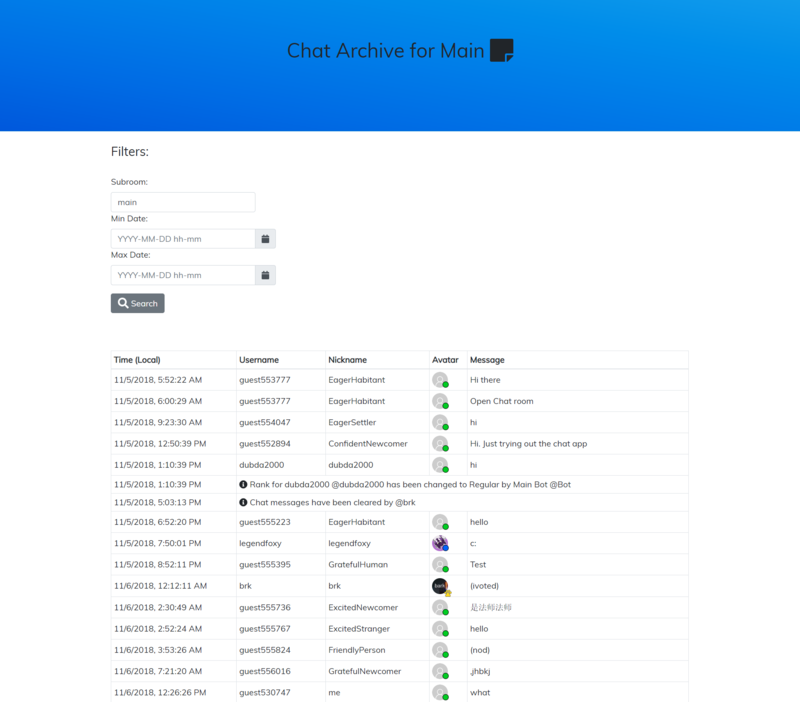 By popular request, we are announcing the ability to mass-view your chatroom’s Message Archive. Pick a specific time period to view, and view the messages that took place during that time period. You can even share the URL with others and they can instantly view it. This feature is available for chats on the Basic plan and higher. The default rank required to view the archive is owner, but you can change this under “Rank Permissions and Bans” from the Chat Edit menu. We will be adding the ability to download the archive en masse at a later date. Stay tuned! We’re constantly looking for ways to improve Minnit, so if you have suggestions on how to improve this feature or any other suggestions in general, please let us know on the forum.